CLEVELAND, Ga. — A White County Grand Jury last week indicted 44-year old Scott Shelby of Cleveland on 10 counts of cruelty to children, four counts of aggravated child molestation, sexual battery, two counts of simple battery and aggravated assault. Those charges are in connection with alleged incidents that occurred at a residence on Rocket Drive February 7. At the time of the arrest, Capt. Rick Kelley said there were four children in the home ranging in ages from 10-15 years old. The investigation showed a history of abuse. Shelby is charged with three counts of cruelty to children in the first degree and one case of aggravated assault. The grand jury heard a total of 43 bills addressed and all were true billed. 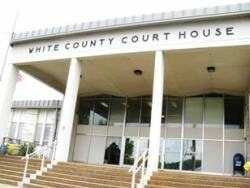 The grand jury also inspected the White County Detention Center and heard reports from White County Sheriff Neal Walden, Probate Judge Garrison Baker and Superior Court Clerk Dena Adams before recommending the county make the pay of law enforcement personnel commensurate with the hourly rate paid in surrounding counties.